Lighting changes for all interiors in Skyrim Special Edition. This version of ELE is a Lite version of the full ELE Suite found at ENBDev. This only includes certain features from all ELE modules into one single .esp plugin. * Removed the lighting template from FallowstoneCaveWorldEnd (Giant's Grove) since this is suppose to replicate an exterior. - Added correct mteFunction.pas directly into 7z folder. Both of these scripts allow batch editing of either Lighting Templates or Imagespaces. More inf o can be found inside of each .pas file. Video tutorials on how to use them will come. 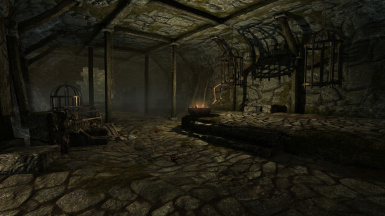 Can be considered as v0.9.6 for the original Skyrim game. 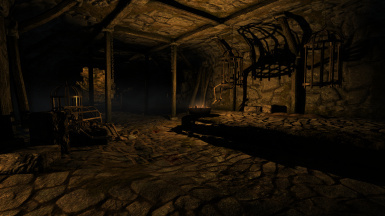 - This version all interiors have recieved an 60% darker ambient lighting, making it much moodier. - Records/edits where removed that wasn't needed. - Still some Development content included, but nothing that would or will harm your gameplay. THIS DOES NOT REQUIRE ENBSERIES! It only makes it easier to tweak the visuals with any post-processing tool such as ENBSeries, ReShade or SweetFX. It also adds specific features to expand ENBSeries tweaking arsenal. 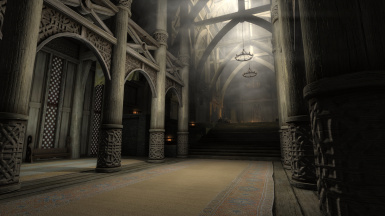 This mod intends to adjust every type of lighting inside the Skyrim game. So it will both look better with ENB and make it a lot easier to customize the visuals, without ruining some parts of the games look. 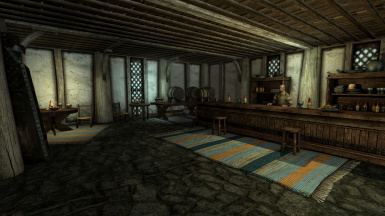 Which is the case with the vanilla Skyrim lighting in some parts, depending on the 3rd party post-processing tools used. AND POSSIBLY MORE FEATURES WILL COME. As for other type of mods, let LOOT decide where in your specific load order is the best place to place this mod. Just keep in mind that if ELE is not last in your load order, you might not get the visual changes it brings. GOING THROUGH EACH RECORD FOR ANY UNWANTED EDITS. Copy the ELE_SSE.esp file into your Skyrim/Data folder. Or Use Vortex, Mod Organizer or Nexus Mod Manager to do it for you. Probably best to use clean save procedures, I recommend at least being outside when you save before uninstalling.